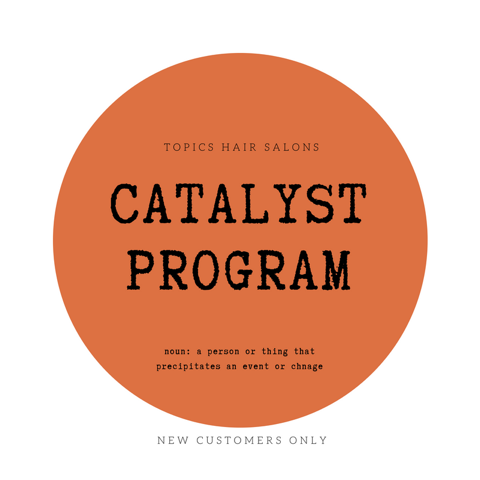 The Catalyst Program is our way of building the business of our newest stylists on the TOPICS team. Each stylist offering the Catalyst Program has passed our salon audition process and is accepting new clients to build their business. Stylists participating in the Catalyst Program offer two discounted packages Monday – Thursday by appointment only.